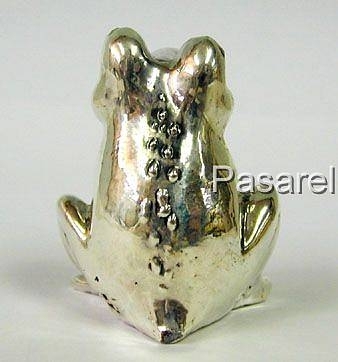 Silver Sitting Frog Miniature Measurements: Height: 4cm. / 1.575in. Width: 3.5cm. / 1.38in. 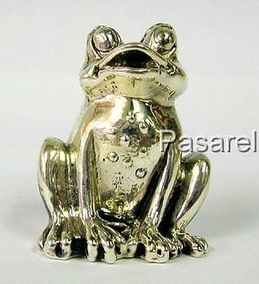 Weight: 26.5gr. / 0.852oz. Marks: 925 for sterling silver.